The Nordic Light Open tournament was one of the major women’s tournaments of the WTA series. It was held between 2002 and 2008 before being discontinued and joined with the Women’s Swedish Open. The first instance was held in Espoo in Finland in 2002 before it was moved to Stockholm city for the next four years before being abolished in 2008. The history of Nordic Light Open tournament history dates back to 70’s when the leading female stars in tennis rose up to fight against pay discrimination in women’s tennis championships. Billie Jean King, the former tennis champion, iconic tennis veteran, and one of the first women to win a tennis championship — was the brains behind the Women’s Tennis Association – WTA – (founded in 1973). The WTA was established to address pay discrimination against women in tennis tournaments, particularly regarding prize money. Throughout the 70’s and early 80’s, the pay differential between men and women in tennis rose as high as 12:1 in favor of men. The height of the discrimination and the lowest moment for women in tennis was in 1970 during the Glad Slam tournament. The female champion Margaret Court earned a mere $15,000 while her male counterpart earned $1,000,000. This angered female players and fans, and in turn, they decided to boycott the upcoming US open and instead decided to establish the Virginia Slims Circuit which eventually became the WTA in 1973. The WTA grew in membership, participants, sponsorship and prize money through the 70’s, 80’s and 90’s. Some of the prominent sponsors included Toyota, Colgate, and Avon. The biggest sponsor was Sony Ericsson with an 80 million-dollar deal, thereby becamoming the biggest sponsor of WTA and the biggest sponsorship deal in the history of women’s sports. In 2002, the Nordic Light Open Tournament was founded as part of the WTA tour (2002 edition) tier IV tournament. 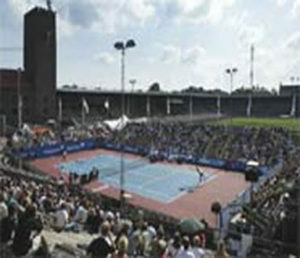 Espoo, Finland became the first host of the tournament which was played on outdoor hard courts. Svetlana Kuznetsova was the winner of the 2002 tournament, taking home $22,000 in prize money. Espoo Finland also hosted the second edition of the Nordic Light tournament in 2003. The event was held from 4th to 10th August and was won by Anna Pistolesi, again taking home $22,000 in a tournament with $140,000 total in prize money. The rationale behind the establishment of Nordic Light tournament, sponsored by Nordea, was to promote the identification and development of tennis talent in the Nordic-Baltic counties. These countries included: Denmark, Finland, Iceland, Latvia, Estonia, Lithuania, Sweden, and Norway. The main objective of the tournament was to serve as an inspiration and source of information for all tennis stakeholders including the players, fans, clubs, and national federations, among others. The Nordic Light Tournament’s main vision was to support female players and develop their skill into to world class players — also the main agenda of the WTA tour series. This vision would be accomplished by ensuring that every year, at least five players from the region participated and appeared in the top 100 world leading players. Furthermore, the tournament aimed to identify and nurture young talents within the region (similar to some efforts previously undergone in girls’ fast pitch softball). The Nordea Masters, which was a junior tournament for players under 15, was launched in 2006. Nordea Open Norway was also launched as part of the Nordic Light Open tournament. The tournament, a women’s-only event, attracted close to 200 participants in Norway alone. It was established to provide an opportunity for players in the region to get a wildcard to the annual WTA tournaments. Further, the tournament enabled players who were deemed potential stars to obtain ranking points to make them eligible for the international tournament. Starting in 2004, the Nordic Light open tournament moved to Stockholm in Sweden. The 2004 event, which took place from 2nd to 8th August, was won by Alicia Molik, taking home a grand prize of $22,000. The fourth edition was held from 8th to 14th August 2005, again in Stockholm. Katarina Sbrebotnic won the singles category taking home a prize of $22,000. She would go on to win the doubles alongside Emilie Loit defeating Eva Birnerova and Mara Santangelo. In 2006, the 5th edition was held from 7th to 13th August in Stockholm Sweden. Zheng Jie won the singles earning the first prize money of $22,900. Zheng Jie alongside Yan Zie lost the doubles category to Eva Birnerova and Jarmilla Vaidisova. The 6th edition held from 30th July to 5th August was won by Agnieszka Radwanska taking home $22,910 prize money. The final Nordic Light Open took place from 28th July to 3rd August 2008. The tournament was won by Caroline Wozniacki in the singles category taking home the first prize-money of $22,925. After 2008, Nordic light open tournament was abolished and joined the Women Swedish Open tournament. Here is a promotional film produced for the fifth anniversary (2006) of the tournament.